We argue in this article that today, fear is exactly what we should fear as a wave of complacency rules the markets. Investors fear volatility. Low levels of implied volatility are the result of investors that are complacent and not protecting against risks. Conversely, when volatility is higher, investors tend to be anxious, concerned about the future and as such take prudent actions to hedge and protect their assets. Based solely on today’s levels of implied volatility, the media, central bankers and uninformed cocktail chatter would have us conclude that there is little to worry about. We see things quite differently and believe current indicators offer far more reason for fear than when implied volatility is high and fear is more acute. The graph below is constructed by normalizing VIX (equity volatility), MOVE (bond volatility) and CVIX (US dollar volatility) and then aggregating the results into an equal-weighted index. The y-axis denotes the percentage of time that the same or lower levels of aggregated volatility occurred since 2010. For instance, the current level is 1.91%, meaning that only 1.91% of readings registered at a lower level. Beyond the very low level of volatility across the three major asset classes, there are two other takeaways worth pondering. First, the violent nature in which volatility has surged and collapsed twice since 2018. The slope of the recent advances and declines are much steeper than those that occurred before 2018. The peak -to- trough -to- peak cycle over the last year was measured in months not years as was the case before 2018. Second, when the index reached current low levels in the past, a surge in volatility occurred soon after that. This does not mean the index will bounce higher immediately, but it does mean we should expect a much higher level of volatility over the next few months. Growth in European economies is slowing dramatically, including Germany where 10-year bond yields dropped below zero for the first time since 2016. 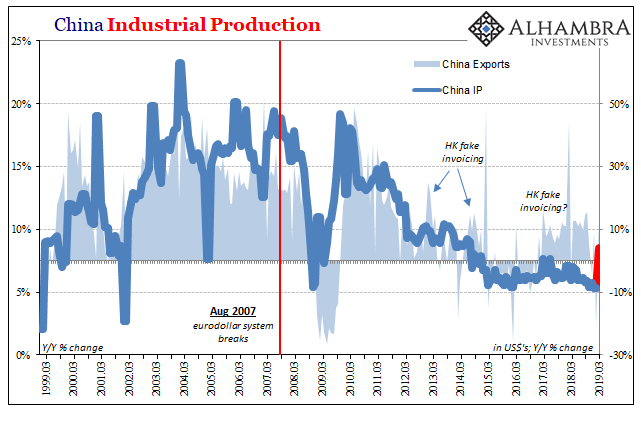 China, representing 30% of global GDP growth, is weakening rapidly. Domestic GDP is expected to rise by only .50% in the first quarter according to the Atlanta Fed. The trade war with China, and to a lesser degree Europe, could flare up on a single tweet or statement and cause market and economic disruptions. 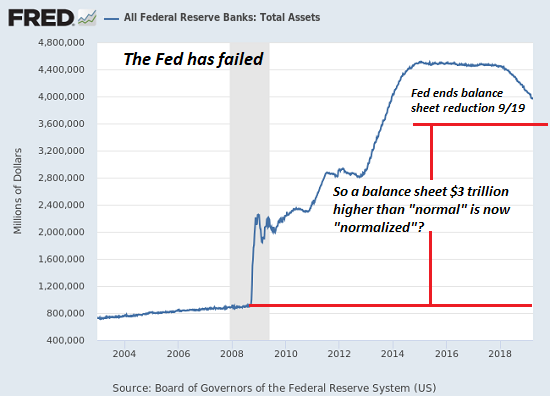 Despite being ten years into an expansion and unemployment near 50-year lows, the Fed decided that Fed Funds above the historically low rate of 2.75 over the next two years is harmful to the economy. 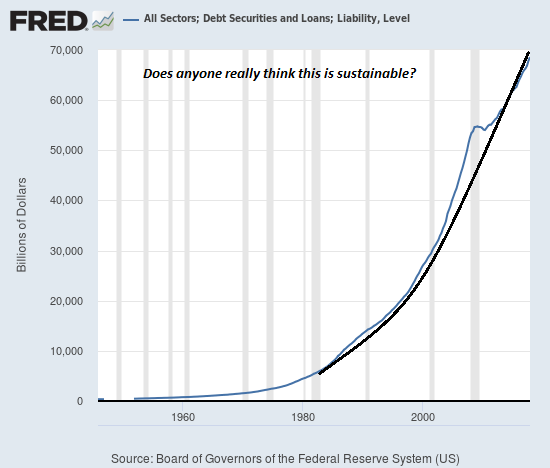 What does the Fed know that we do not? The potential for a hard BREXIT is growing by the day. Political drama is heating up with an election and possible Mueller findings. These and other factors should raise concern. As highlighted by the volatility graph, the three major domestic financial markets are extremely complacent. If history proves reliable, a violent reversal is a clear and present danger. Our greatest fear today is easily the apparent lack of it. This situation reminds us of a rip-tide on a sunny, beautiful day at the ocean. The water looks relatively calm for all to enjoy without taking precautions. However, within a few steps lies a vicious underwater current capable of imposing swift and unsuspecting demise. The difference between a great day at the beach and a disaster are closer than you think. Now is a good time to heed the warning of the lifeguard.